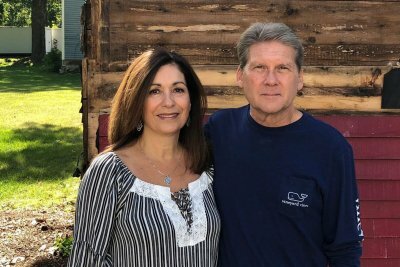 We are Carolyn and Rick Bentzinger, the new innkeepers of The Captain Swift Inn. We purchased the Inn in May of 2018 and began an extensive 4-month renovation effort beginning in June. Our focus has been to maintain the historic elements and character of the property while offering modern amenities and conveniences for our guests. We also have significantly improved the Inn’s compliance with fire and safety requirements, while simultaneously upgrading the building’s heating, cooling, and electrical systems – all making it more enjoyable for our guests. Renovation projects and innkeeping aren’t new to us. We established and operated The Andrie Rose Inn in Ludlow, Vermont many years ago, and after five years of running the Inn, we made the decision to sell to raise a family. Now that we’ve retired from corporate life and with two sons in college and the third beginning his career, we are excited to settle in Camden and once again welcoming and hosting travelers to the Inn!